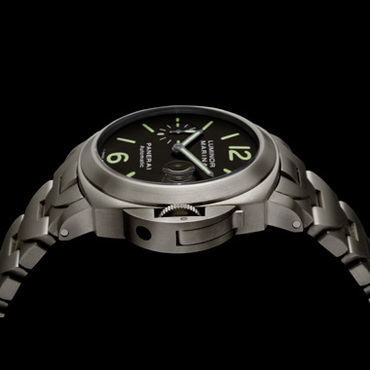 Were I an atom of titanium, I’d try and pull every string I could (bear in mind that I would be Italian titanium) in order to be packed in to this amazing Luminar Marina Automatic by Panerai. I’d lobby hard to land some choice real estate near that tasty winding mechanism. Oh man. Hubba hubba. Titanium.